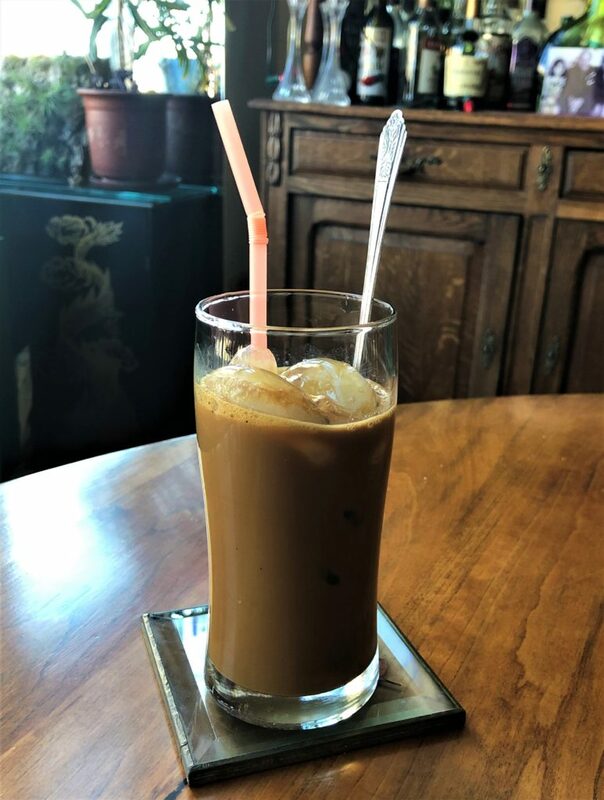 Vietnamese Iced Coffee is nothing like the standard American iced coffee you might be used to. It’s really something special and requires a little patience. 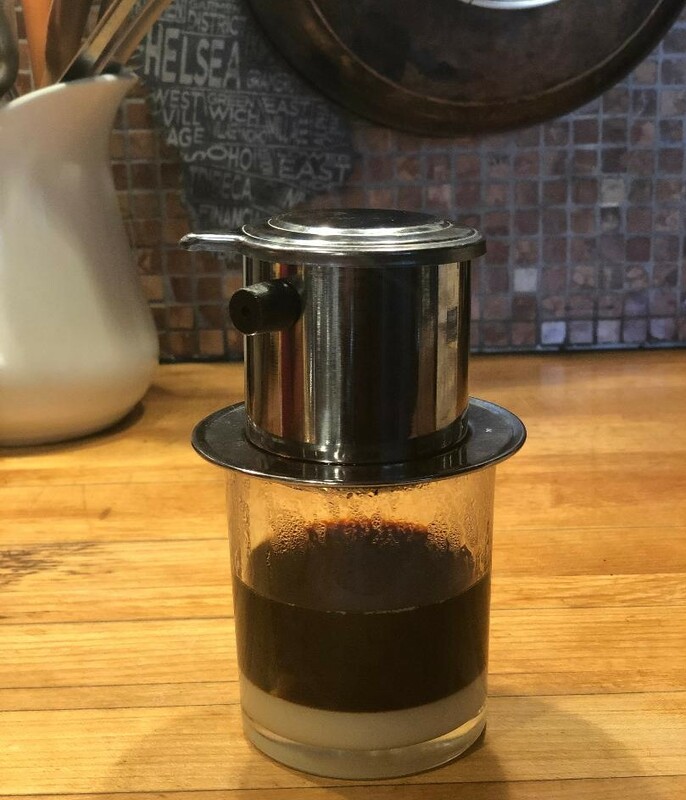 Whenever I’m in a Vietnamese restaurant I order it as soon as I arrive and let it brew while I’m eating and drink it just before I ask for the check. 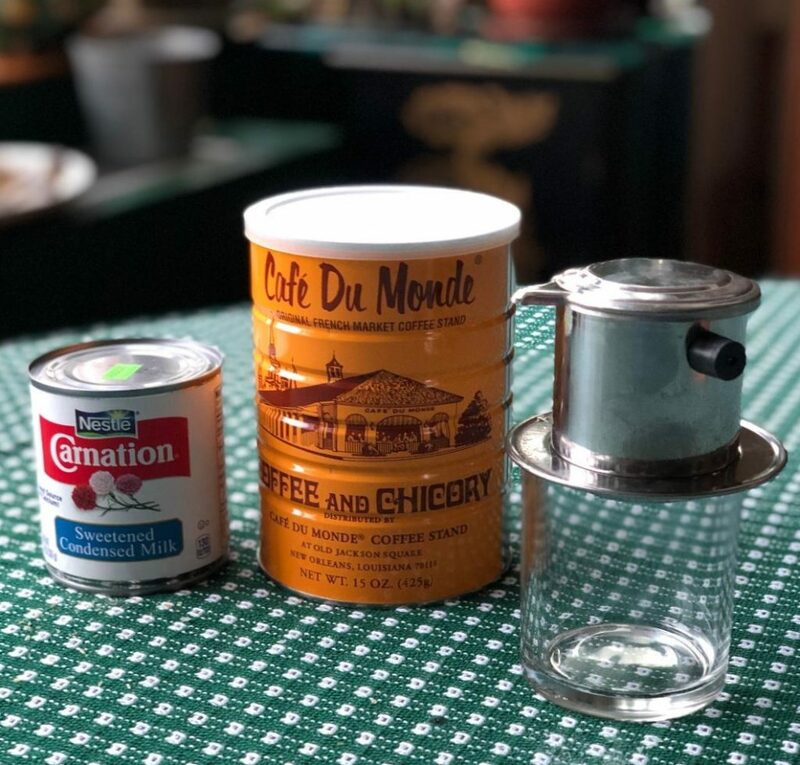 As the water is boiling add 2 tablespoons of coffee to the coffee maker and 2 tablespoons of sweetened condensed milk to the small glass. 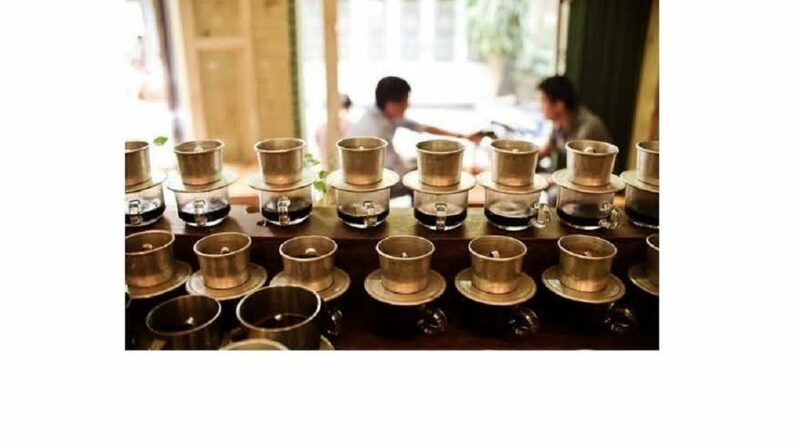 With the coffee maker on top of the glass, wet the grounds with about a tablespoon of the hot water and put on the top of the press and push down tightly. Fill with hot water and put the cover on. 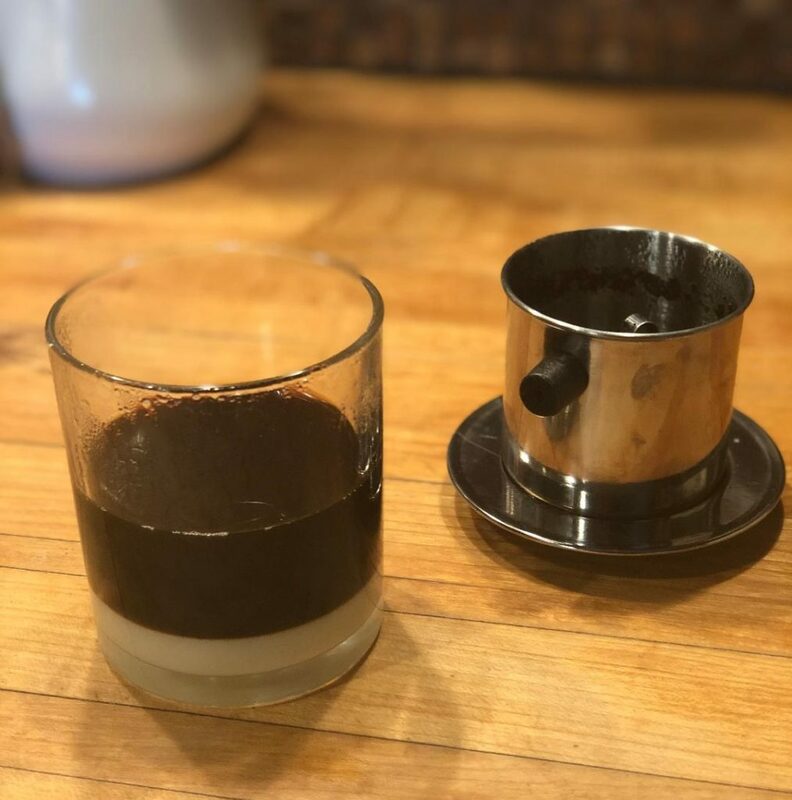 The coffee will slowly drip into the glass onto the condensed milk. This should take a few minutes. You can adjust the press as needed. When the coffee is finished dripping, fill a tall glass with ice. 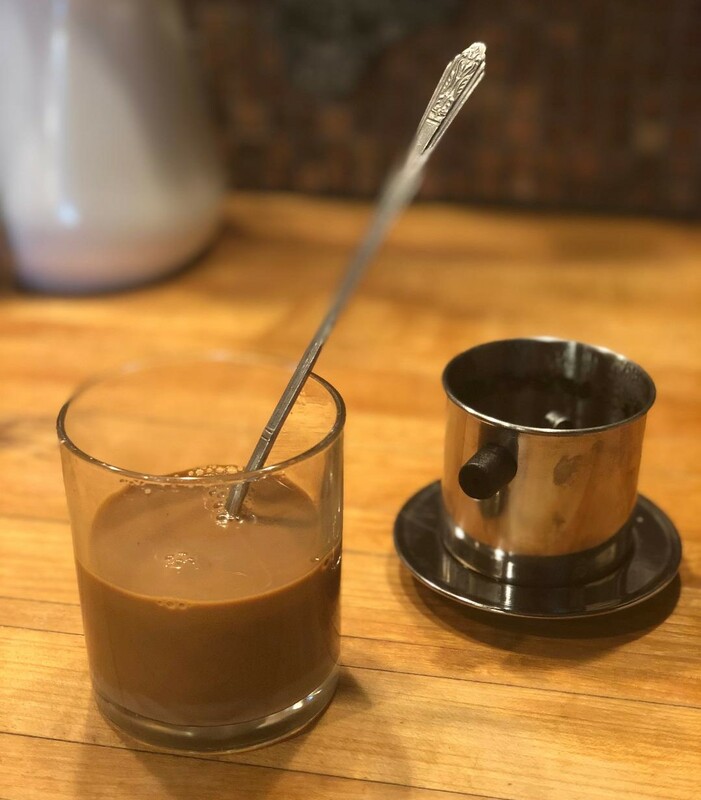 Thoroughly mix the coffee with the condensed milk and then pour it over the ice in the tall glass.